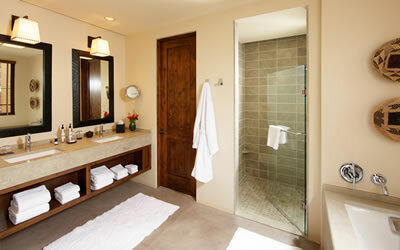 As one of the most expensive rooms to renovate, a bathroom can make or break a deal when buying or selling a home. Homeowners are looking for rooms that don’t require a lot of work, which is why a bathroom renovation can make the biggest impact on your resell value. We create spaces that inspire our clients’ lives. Give us a call to chat about your project. We love to talk design! 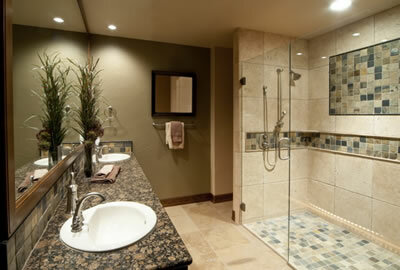 Bathrooms have become a popular remodeling project for homeowners to tackle. Many people are tearing down walls to create an open design, adding space, function, and luxury. In many cases, radiant heat is a main part of the bath remodel—who doesn’t hate stepping on cold tile floors? In fact, 70 percent of our own customers who purchase radiant floor heating install it underneath their bathroom floors. When you want to give your bathroom a comfortable and luxurious environment, heated floor systems are a great way to do so. Don’t suffer from cold tile floors this winter—with heated floors, you’ll actually enjoy getting out of bed. Renovating a bathroom can often be more complex than an- other room renovation, but sometimes the simplest changes are all that is needed. Small changes such as hanging fresh-colored towels, a shower curtain, a picture, or decorative mirror can painlessly brighten a room. Towel bars, toilet paper holders, or grab bars can be replaced with slightly more skill. If you’re feeling a little more adventurous, paint the walls and ceiling. Just be careful to prep the surfaces. Many specialty paint stores offer classes that teach a variety of finishing techniques. When you tire of the color, simply replace it with a different hue. Wallpapering takes a little more patience and skill. Once again, prepping is important. Be sure to select paper that is made for bathrooms, otherwise seams will open and the paper will peel. For another effortless update, consider replacing the knobs on your cabinetry.. Even toilet levers can be changed. Look for those in plumbing supply showrooms. Vanity countertops can be found in standard sizes—many with sinks included at home centers and kitchen and bath showrooms. If you choose to replace your countertop and sink, you’ll need to replace the faucet as well. If you are purchasing a prefabricated counter, make sure the holes drilled for the faucet will match your faucet of choice. With a little more expertise, consider replacing plumbing fixtures. Changing a standard showerhead to a handheld is easy. Substituting a toilet will take more time and muscle, but an updated commode may be exactly what your bathroom needs.